Why is John Gallagher, a journalist covering urban redevelopment, our speaker for Daffodil Day? The answer, redeveloping Detroit includes many “green” projects. Our Daffodil Day is one of them! In Mr. Gallagher’s Reimagining Detroit and Revolution Detroit, he looks at many renewal projects that involve plants, parks, public green spaces and urban agriculture. Some are small scale, like making it easy for a homeowner to buy the empty lot next door. Others are on a much bigger scale. The most fascinating may be “daylighting” streams. 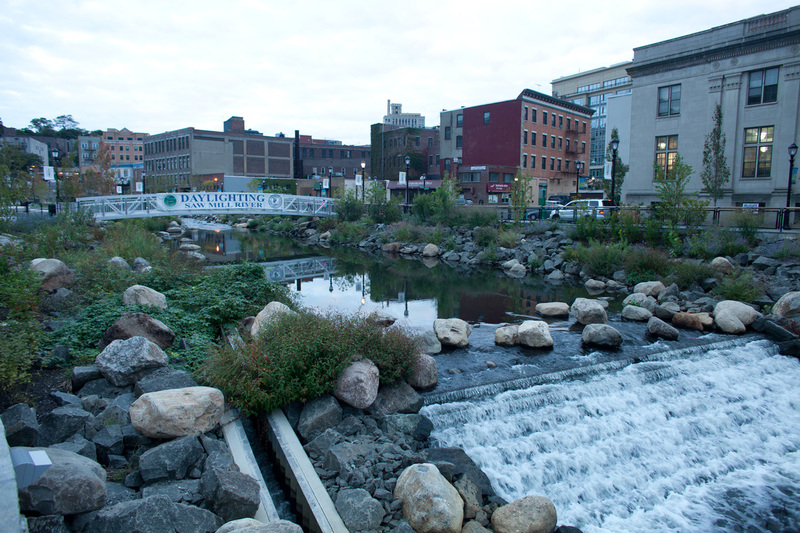 “Daylighting” is opening up long buried streams and restoring them to a natural state. While not inexpensive, it may pay for itself by reducing flooding and increasing groundwater retention. The new public green spaces bring significant urban grown and better quality of life.